Hello friends! Today I wanted to share with you an update on the latest home improvement project going on at our place. 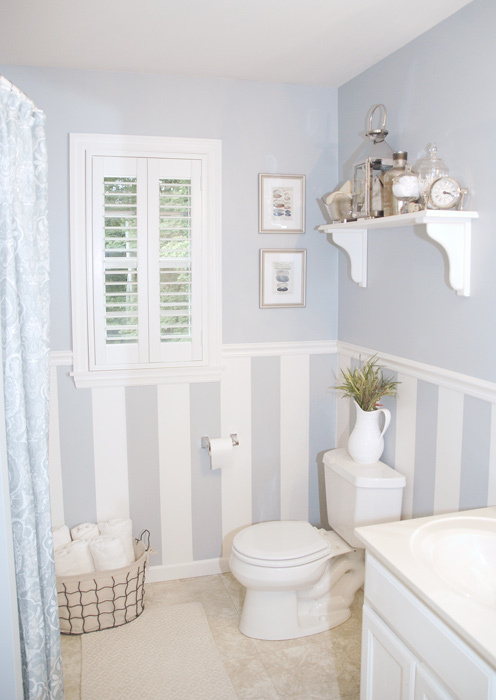 I’ve decided to repaint another room (I know, I know … shocking). 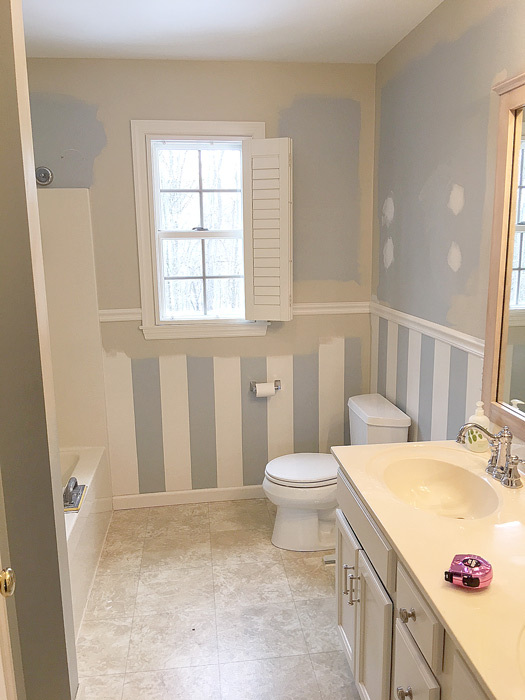 This time it’s the master bathroom. When we bought our house, this is what the master bathroom looked like. Yowza! 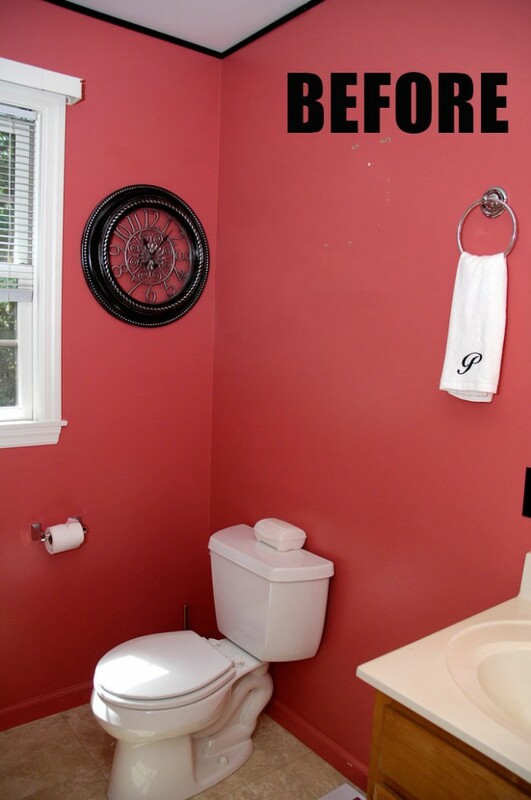 Hot pink walls (and baseboard trim) didn’t really fit my vision of a lakeside retreat. Now, after several years, I’ve tired of the blue/gray color and stripes. 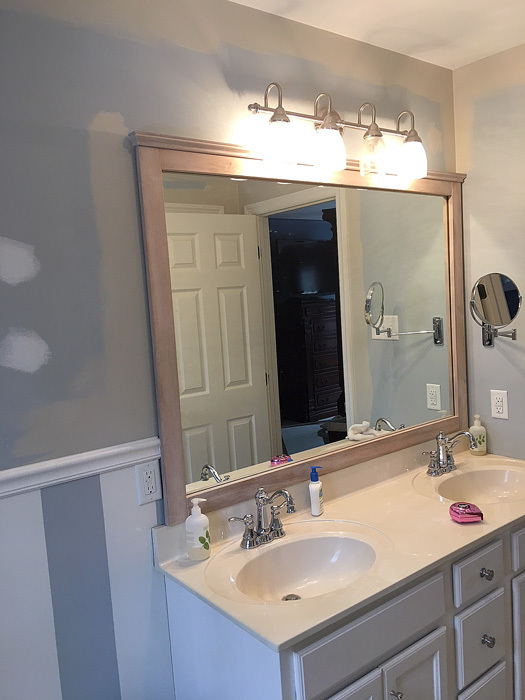 So I decided recently to give the walls a coat of Sherwin Williams Accessible Beige. I realize there’s not much progress to be seen yet. 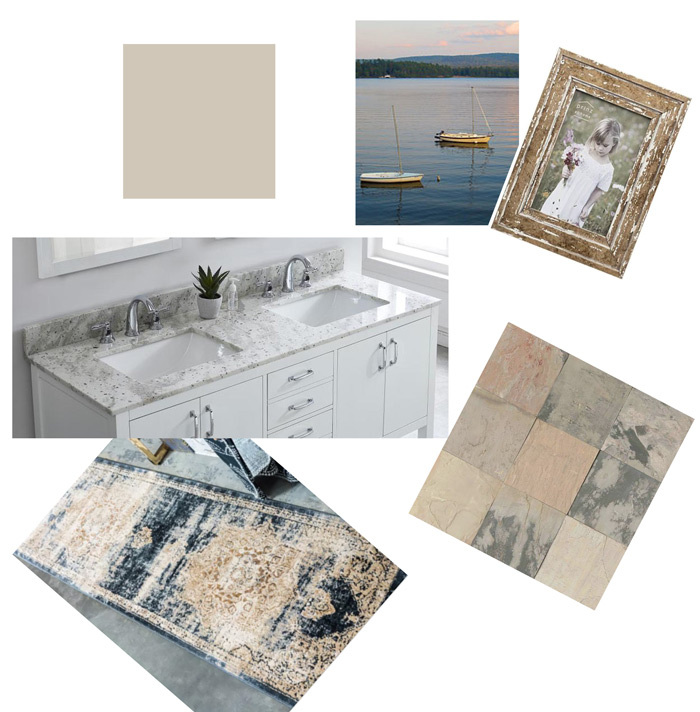 Here’s a mood board that depicts what I want the space to look like … eventually. This project will need to be done in phases, as our budget allows. For now, I’m sticking with paint and accessories. Later will come new slate flooring and a new vanity top and sinks. 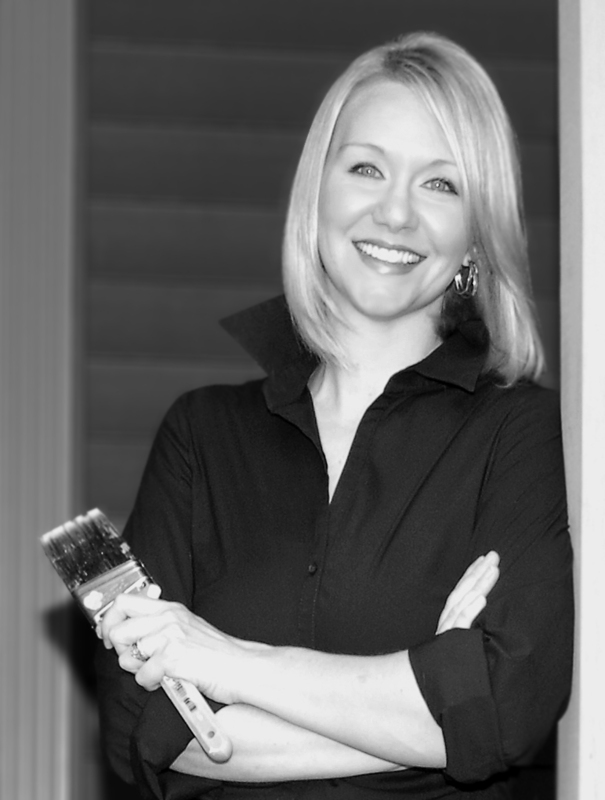 Have you started any spring renovation projects around your house? I’d love to hear about them.